Travis Scott Williams, 40, journeyed back to his heavenly home on March 22, 2014. There to meet him were his mother, Linda, and his older brother, Justin. He is survived by his wife and high school sweetheart, Andrea, and children, Olivia, 15, Ethan and Ella, 11 and Ryan, 9. Travis was an eagle scout and served an LDS mission in the Missouri, Independence Mission. 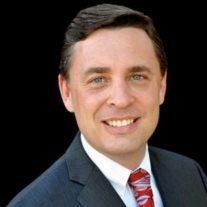 He graduated from ASU Law School in 2000 and has practiced law ever since. He loved snow and water skiing, scuba diving, going on trips to Hawaii and fly fishing. Travis had an easy-going personality, a kind and generous spirit and sense of humor that made him loved by all he met. He was most devoted to his wife and children and his faith. The visitation is Thursday from 6-8 pm at Bunker’s Garden Chapel, 33 N Centennial Way in Mesa. Funeral services are Friday, March 28, 2014 at 10 am, at the LDS Stake Center, 1010 S Recker Rd in Gilbert.